Following are several websites listing numerous IFB (Independent Fundamentalist Baptist) links. Being brought up with a “fundamentalist evangelical” Wesleyan Holiness background, there are several teachings which I have found different in IFB churches. For example, I knew very little if anything about eternal security or C.I. Scofield or dispensationalism until I attended an IFB church. – Racks of gospel/salvation tracts that don’t omit “negative” doctrines such as sin, Judgment Day, Hell, the Lake of Fire, etc. – Adherence to the teachings of “The Fundamentals” (1910-1915) [note – at this link, the various articles can be read online]. I am not referring to “fundamentalist” here simply as Independent Fundamentalist Baptist (IFB), but in the broader sense of adherencing to the teachings of “The Fundamentals” (1910-1915). I should point out that some of the articles in “The Fundamentals” contain very serious theological errors. But, for the most part, they represent biblically sound doctrine. – “Crisis conversions” (making a decision, at a specific point in time, to accept Christ). This, followed by lives truly devoted to following Christ (i.e., a denial of the heresy of “easy believism”/ “easy prayerism”). Even among fundamentalist Baptists, some fundamentalists are more separatist than others. The following article about John R. Rice 1) lists many “big names” among fundamentalist Baptists, and 2) explains their varying degrees of separation. In 1971, Rice planned a “great world conference on evangelism” that would bring together the various strands of fundamentalism. (25) But Bob Jones Sr. had died three years earlier, and his son and successor, Bob Jones Jr., objected to the inclusion in the conference program of two Southern Baptists, W. A. Criswell and R. G. Lee, whom Jones considered “compromisers and traitors to the cause of Scriptural evangelism.” (26) (It did not help that shortly before Jones Sr.’s death, Criswell had referred to him as “a senile old fool.”) (27) Jones also opposed Rice’s insistence that there be no criticism of Billy Graham (and presumably, Neo-Evangelicalism) at the conference. (28) Rice argued that his position on separation was the same as that held by Bob Jones Sr. and that there was “nobody living in this world who was more intimately acquainted” with the late evangelist. (29) Not surprisingly, Jones Jr. disagreed, and he and Rice engaged in an exchange of views about separation–Rice in The Sword of the Lord, Jones in a pamphlet, “Facts John R. Rice Will Not Face.” To Rice the importance of soulwinning trumped what he considered minor disagreements among Christians about biblical separation. The upshot was that Rice’s planned conference was postponed and then canceled. In November 1971, Bob Jones Jr. and Bob Jones III were dropped from the cooperating board of The Sword [of the Lord] to be replaced by Jerry Falwell and Curtis Hutson. (30) In 1976, Jones, Ian Paisley, and Wayne Van Gelderen organized their own “World Congress of Fundamentalists” in Edinburgh [I located this history of the World Congress of Fundamentalists]. Unlike the split with Billy Graham, however, Rice’s refusal to agree with separationist fundamentalists like Bob Jones Jr. and Ian Paisley only enhanced the growth of The Sword [of the Lord]. By the mid-1960s, the paper had more than recovered its losses after Rice’s criticism of Billy Graham; in 1974, circulation of The Sword of the Lord was over 300,000. (31) Rice had been a major participant in shaping the two most important divisions of late twentieth-century fundamentalism, the split between fundamentalists and Neo-Evangelicals and then the creation of two fundamentalist factions: Rice’s more sentimental and irenic; Jones’s more academic, doctrinal, and confrontational. 25. An advertisement in The Sword said that its purposes were to “stir revival fires…[and]promote the fellowship without compromise of fundamental churches, pastors, and people in soulwinning.” The Sword of the Lord (June 18, 1971), 4. 31. Viola Walden, John R. Rice: The Captain of Our Team(Murfreesboro,TN: Sword of the Lord Publishers, 1990), 527. In the first half of the 20th century evangelicalism in America was largely synonymous with fundamentalism. Many historians make this connection, including Mark Ellingsen (The Evangelical Movement) and George Marsden (Reforming Fundamentalism). Marsden says, “There was not a practical distinction between fundamentalist and evangelical: the words were interchangeable” (p. 48). When the National Association of Evangelicals (NAE) was formed in 1942, for example, participants included such staunch fundamentalist leaders as Bob Jones, Sr., John R. Rice, Charles Woodbridge, Harry Ironside, and David Otis Fuller. Old-line evangelicals [fundamentalist evangelicals], with rare exceptions, have either aligned with the fundamentalist movement [Independent Fundamentalist Baptists or IFB] or have adopted New Evangelicalism. Where are these “rare exceptions”? Do any fundamentalist evangelicals exist today apart from the IFB? The American Council of Christian Churches is a Fundamentalist multi-denominational organization whose purposes are to provide information, encouragement, and assistance to Bible-believing churches, fellowships and individuals; to preserve our Christian heritage through exposure of, opposition to, and separation from doctrinal impurity and compromise in current religious trends and movements; to protect churches from religious and political restrictions, subtle or obvious, that would hinder their ministries for God; to promote obedience to the inerrant Word of God. Praise the Lord for this fundamentalist association! In spite of his shortcomings, Carl McIntire sounds like a wonderful man of God. (It’s hard to differentiate between his true faults and name calling by those who opposed him.) I hope to write a separate blog about him soon. I stumbled across a review of The Sword of the Lord: The Roots of Fundamentalism in an American Family, by Andrew Himes. Click here for the entire review. NOTE – I am NOT providing these excerpts because I agree with the stance of the reviewer or the author. In many instances, they are critical of fundamentalism. Nonetheless, the book still provides many insightful historical insights. Bottom line – I do not necessarily recommend buying the book, but if you find a used or discount copy, go for it. I capitalize “Fundamentalism” because here I’m talking about the movement. Increasingly I am adopting the practice of distinguishing between two sense of many religious labels: the movement of that name and the ethos described by that label. For example, evangelicalism is an ethos shared by people in virtually every denomination. [New Evangelicalism] (with a capital E) is the post-WW2, post-fundamentalist movement initially led by Billy Graham, Harold John Ockenga, Carl F. H. Henry, et al. The book jumps around some, so at times it’s hard to follow the chronology, but it begins with the distant ancestors of the author and his grandfather John R. Rice, publisher and editor of The Sword of the Lord magazine who died in 1980 and age 85. His life, recounted in detail in the book (although it is not strictly speaking his biography), was inextricably entwined with 20th century Fundamentalism of which he was, with Bob Jones and Carl McIntire (unfortunately not mentioned in the book) one of the notable leaders. Himes’ book alternates between vignettes of the lives of his ancestors and their fundamentalist friends and associates and mini-essays about American and especially Southern evangelical Christianity. It also contains chapters about Himes’ own life without being his autobiography. This book is not a scholarly examination of Fundamentalism; it is a family history written from an insider’s perspective relying on lots of good research to fill in the details. The one major problem I have with the book is the absence of Carl McIntire. McIntire was a major leading of American Fundamentalism along with John R. Rice and Bob Jones and others mentioned in the book. I don’t see how it is possible to give a 300 plus page account of American Fundamentalism and not even mention him. One reason that’s an oversight is that, unlike Rice, McIntire separated from the “neo-evangelicalism” of Ockenga right at its beginning in the 1940s. It took Rice and Jones and others until the 1950s and 1960s to separate from, for example, the National Association of Evangelicals. This Amazon link to the book provides 53 customer reviews. Thank you, Heavenly Father, for Dad and all the things he taught me. Will wash me whiter than snow. I’ll walk the streets of gold. And Grow in Him every day! I received Christ as my Saviour at a young age, thanks to my godly parents. Second, Dad showed me how to be a good friend. Many of you in this memorial service may have been present when my wife and I got married. Dad was my best man at the wedding. I thank the Lord that Dad was in good health at the time and got to take part in a wonderful way. Thank you, Heavenly Father, for Dad. The memorial service was a memorable one. 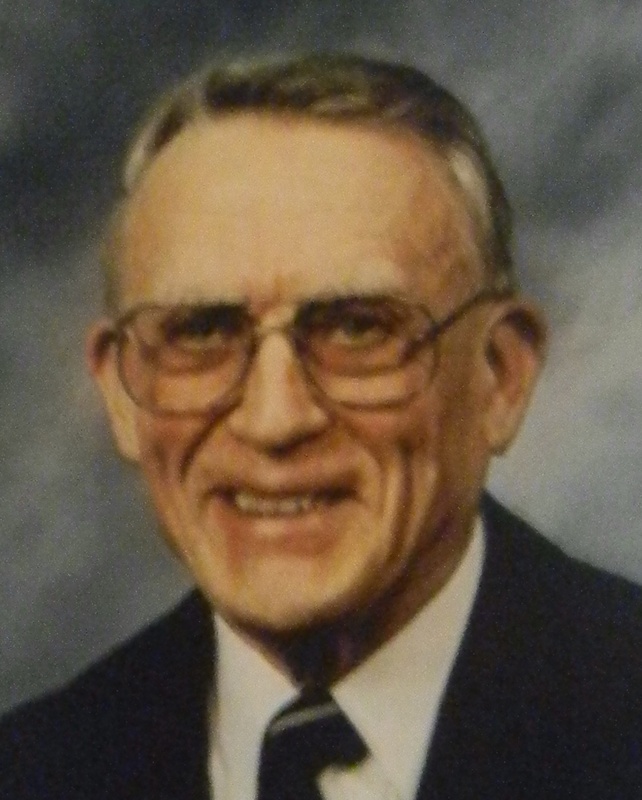 Dad was remembered as a righteous man of God who preached the wonderful old time gospel message of salvation. I thank the Lord for all those who said “amen” to comments like this from the speakers. The wonderful missionary relative who preached the sermon alluded to the fact that the King James Version had been “put on the back shelf.” I believe Dad grieved over this – as do I. Another wonderful missionary relative read Scripture and prayed. He, as well as others, commented that Dad was a righteous man of God, faithful to the end.